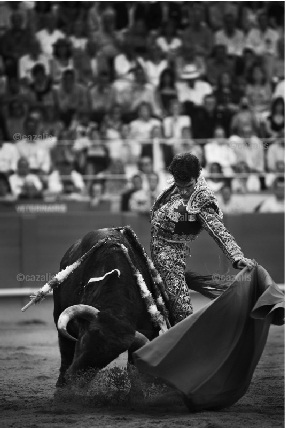 When I first went to a bullfight 17 years ago, I was 23 and was sure I would hate it. I was a passionate animal lover and had been a keen amateur naturalist since childhood, WWF & Greenpeace member and zoology undergraduate. Not an auspicious CV for a future aficionado de los toros. As expected, what I saw contained many moments of brutality and blood but I was surprised also to find I could see beyond them to feel moments of breathlessness thrill as well. What genuinely shocked me, though, was that I could also perceive intermittently, and only with one of the bullfighters present, a kind of beauty that was entirely new to me. In my moral confusion, I decided to research this alien thing, reading what I could in English – mainly Ernest Hemingway and Barnaby Conrad – and going when possible to see a corrida, a ‘bullfight’, on my irregular visits to Spain. Each time I went with a little more understanding and a little less aversion. Some would argue I became more sensitive to the aesthetics, others that I had become more inured to the ethics (or lack thereof.) I wouldn’t like to say either way. 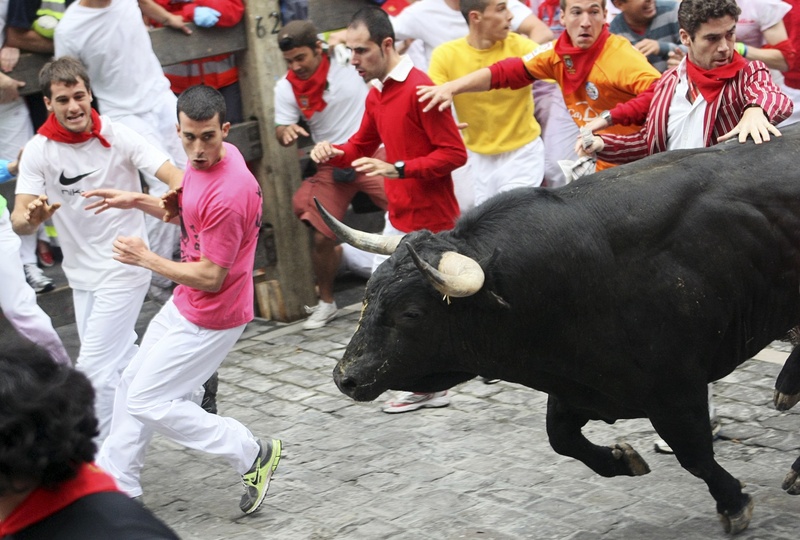 As part of the research, I also attended the encierros, ‘bull-runs’, of Pamplona and ran with fear and ignorance among the masses of drunken foreigners and adrenaline seekers. Unlike those visitors, I returned, and ended up running in towns across Spain, away from the tourist trail and among those born to this bloodless and less formal, more pagan practice. I ran with the bulls from San Sebastián de los Reyes in the suburbs of Madrid, to Falces, where you hurtle pell-mell down a goat-path, bordered by a sheer drop, in the foothills of Navarran Pyrenees. From Tafalla, also in Navarre, which resembles Pamplona in the 1920s to Cuéllar in Old Castille, which hosts the most ancient encierros in Spain. I may be something of an oddity in my afición in English-speaking countries – although there is a Club Taurino of London as there is of New York – but in Spain (or Portugal, France, Mexico, Colombia, Peru, Ecuador, Venezuela) the picture is very different. According to the annual figures on asuntos taurinos, ‘taurine matters’, published by Spain’s Ministry of Culture, the bulls are on the way back for the first time since the world economy collapsed in 2008. The number of full-fledged corridas in 2015 stabilised at 394, down only 1% since 2014 compared with that year’s drop of 7% on the year before and 10% before that. There were even large increases in some regions – Andalusia, Aragon, Murcia, the two Castiles and the Basque Country – and it seems that Madrid was the real fall, perhaps a reflection of the strange political stirrings going on in the capital. The number of bullfights in the broader sense of the word – including novilladas for novices and rejoneo for horseback toreros etc., – 80% of which occur in Andalusia, Madrid and the two Castiles, had fallen by 7% to 1,736, but this after a slight increase the year before. Far more importantly in a country where subsidies distort the market, the number of people actually attending bullfights in 2015 was up to 3.7 million, an increase of more than a third of a million since 2011 when my book came out. Back, in fact, to pre-financial crisis levels.